Ada (analytics. data. advertising), Axiata Digital’s integrated digital marketing business combining data science, technology and creative, has appointed Anurag Gupta (pictured) as chief of agency practice and COO. The appointment is effective 2 July 2018 and he will be relocating to Kuala Lumpur from Singapore. In his new role, which will see him reporting to CEO Srinivas Gattamneni, Gupta will lead all country teams to drive the business’ trajectory towards becoming the top integrated digital marketing company in their respective markets. He is also responsible for expanding ada's portfolio in Asia beyond 1,200 brands and set market teams up for further scale and growth. 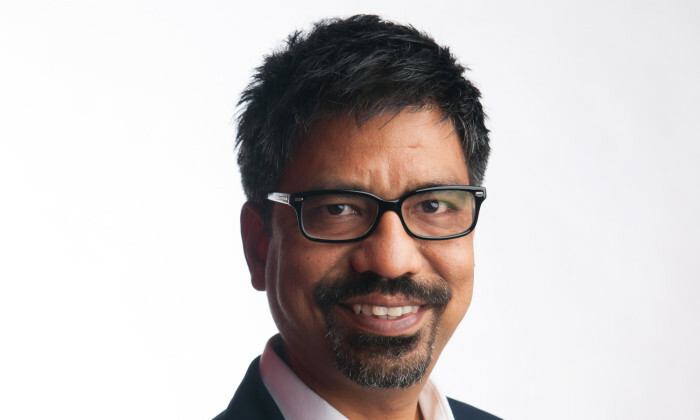 Gupta was previously Asia Pacific chief growth officer at Wunderman, where he joined in June 2017 prior to the integration of POSSIBLE under Wunderman in July 2017. He has over two decades of experience in building teams, creating and executing integrated, complex communication programs spanning insights, creative, new and traditional media, and CRM involving large regional teams across agencies and brand leaders. Wunderman confirmed the move but did not comment on a replacement. In an interview with A+M, Gupta said he wants to create a unicorn out of ada, and build a "new age" agency that removes silos and combines technology, content and data under one roof. "If you look at traditional agencies, they have all of it but the capabilities are siloed. We feel that it is the need of the hour to combine these units into one and see huge growth potential around it," he added. We need to think outside of the box and rethink the agency model. "Even at WPP, I have always delved into breaking silos and doing things differently. When Gattamneni talked about disrupting the traditional agency business, that attracted me and I felt this is the right space and time. While traditional agencies might take years to pivot because they have mammoth structures, we can build something quickly and be fast, agile and impactful," Gupta said. He also described Southeast Asia to be a "very dynamic market", with consumers being very active on digital platforms, whereas companies have not shifted enough of their marketing budgets to digital. "Southeast Asia is a very active market when it comes to digital, but the marketing spend by companies is not growing commensurate to where consumers are already at and the industry has to play catch up," Gupta said. He added that clients are also looking for more local agile solutions. The value of big agency groups are "shrinking" and they now have to justify the amount they should be getting paid, when many other local agencies can carry out responsibilities at a much lower cost. “We don’t have silos, complicated P&Ls and structures, and non performing overheads. As such, we are very agile and cost efficient. It is not about undercutting traditional agencies, but being outcome driven and responsible for the value that we are creating for clients,” he said. Gupta's appointment is in line with ada's plan to bring together the region’s top talent of advertising visionaries, data scientists and growth hackers, backed by a telco-powered data management platform. Gattamneni told A+M that the company plans to bring on board individuals from companies such as IBM and Oracle who understand data-driven marketing. It also hopes to grow the team from over 200 digital specialists to 500 in the region. Gattamneni added that the chief of agency practice and COO role was created to "take ada to the next level", following the consolidation of its offerings - Adparlor, Adreach and Digital Reach - under one brand in March this year, to better position its data-driven offerings. Gattamneni said he aims to grow ada into a business with a billion dollar market cap, ensure that the agency becomes among the top three in the industry, as well as serve the 200 large cap clients in the region. Ada currently works with clients in the telecommunications, financial services, insurance and FMCG industries, among others. "We have grown very fast in the last four years and do not plan to expand beyond the Southeast and South Asia region. Instead, we plan to delve deeper into the region, follow the digital dollars and also focus more on data," he added. Gattamneni said Gupta is no stranger to Asian markets or disrupting agency models from within and brings dexterity of client engagement to ada's market teams, helping the agency tackle complex, multi-brand client relationships, and deepen its engagements with large cap clients to move markets forward. In March this year, Axiata Digital launched ada to provide "seamless" offerings in data science, technology, and creative, to form and deliver a digital ecosystem for its brands and advertisers. The four new brands under ada are adaFutures, adaReach, adaAcquire and studio A.
AdaFutures focuses on driving business goals through bespoke digital strategies, while adaReach helps clients reach their target audience on mobile through programmatic buying. Meanwhile, adaAcquire maximises acquisition outcomes, while studio A is a data-driven creative unit that brings strategies to life with speed and scale, optimised to deliver on KPIs. Mohd Khairil Abdullah, CEO, Axiata Digital said back then that the integration of offerings will enable the company to leverage data to "close the loop" for brands, from customer engagement to acquisition for the next leap in digital marketing effectiveness. “Data analytics is the key to the future of advertising. In the next three to five years, we expect 90% of all marketing decisions to be data-driven. With access to rich telco data and a team of dedicated specialists that champion transparency, ada offers brands and businesses the opportunity to communicate with consumers with unprecedented precision to achieve business results," Gattamneni said. Currently, ada's team comprises more than 200 digital specialists, including a team of 50 data scientists, growth hackers and engineers. Ada has operations in eight countries across Southeast and South Asia, including Singapore, Malaysia, Indonesia, Cambodia, Thailand and South Korea.